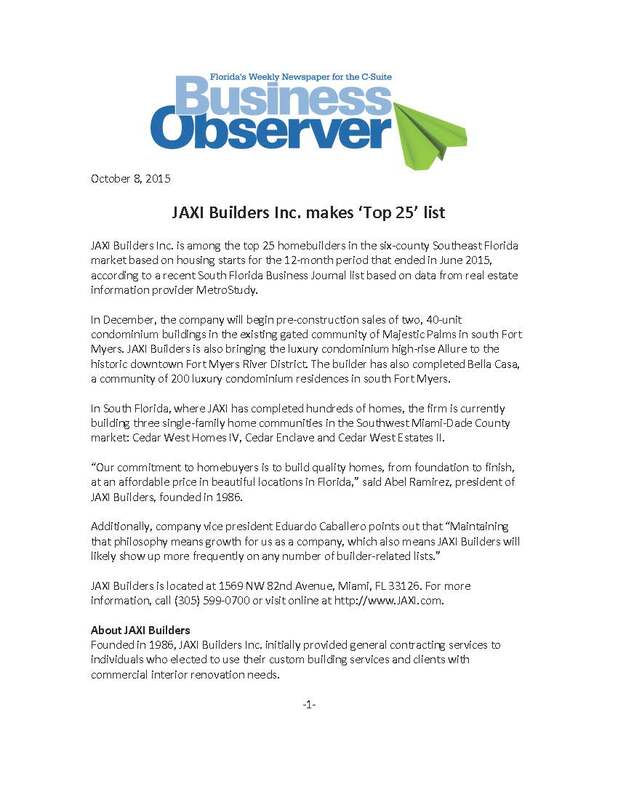 When Miami-based JAXI Builders purchased land in the downtown Fort Myers River District to build luxury condominium residences, they needed a local marketing, advertising and public relations agency that had the experience they were looking for. So when the company owners discussed the idea of creating the high-rise towers with city officials, they had one recommendation: Spiro & Associates. The executive director of the Community Redevelopment Agency also suggested Spiro. After an Agency review that included a New York firm and two Miami-based firms, we were hired. 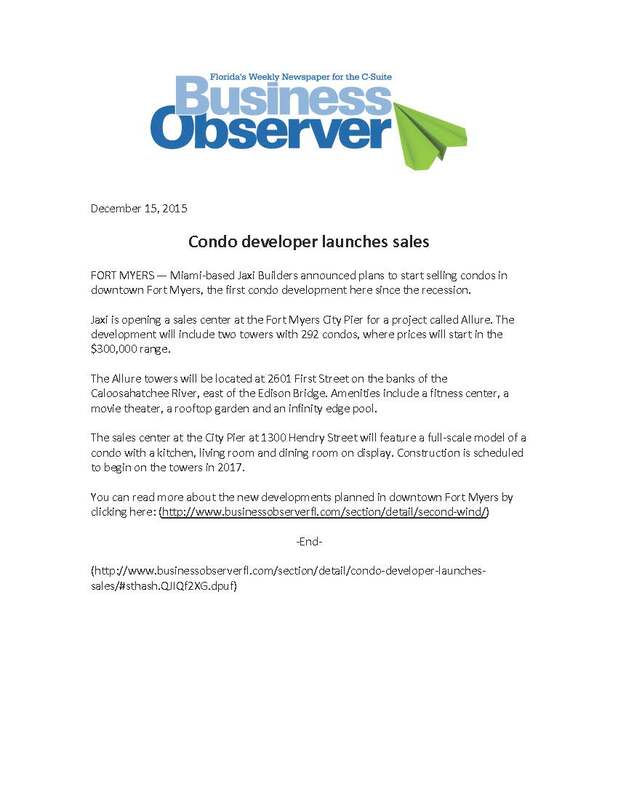 The Brand Architects® at Spiro were soon off to a quick start to bring what will be the first high-rise community to get underway in the historic Fort Myers River District since 2006. 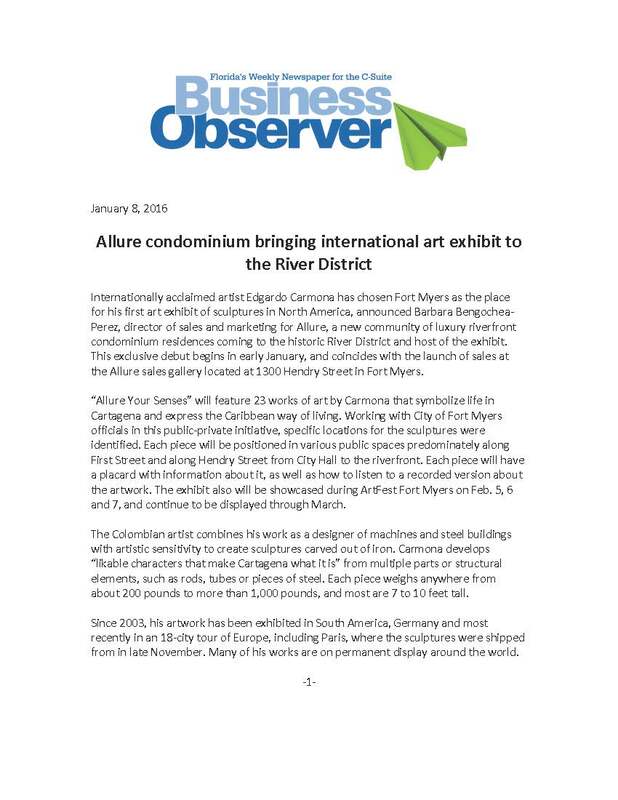 Challenges or perceptual challenges to overcome in the greater Southwest Florida real estate community include Allure’s price point (per square foot), which is higher than the current market, and the fact that the former project proposed for this site never came to fruition. Sales launched in early 2016, and JAXI Builders is expected to begin construction in 2017. 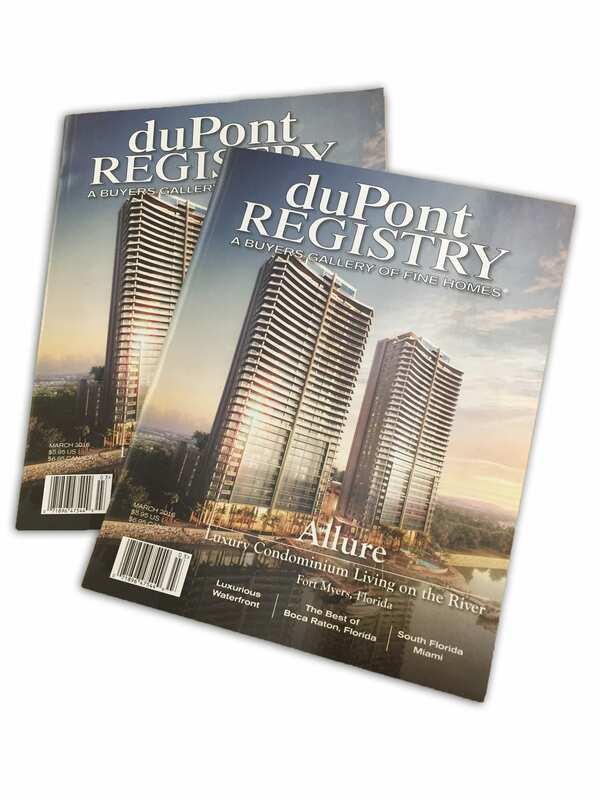 Creating a community of 292 residences in two towers each soaring 32 stories, and building the world-class amenities that will bring buyers from far and wide is a major undertaking. So too are the marketing, advertising and public relations initiatives for an Agency to build and maintain momentum from the very start. The Spiro Brand Architects were tasked with exploring names for the community, then creating the initial sales campaign and all of the assets required to sustain marketing efforts. 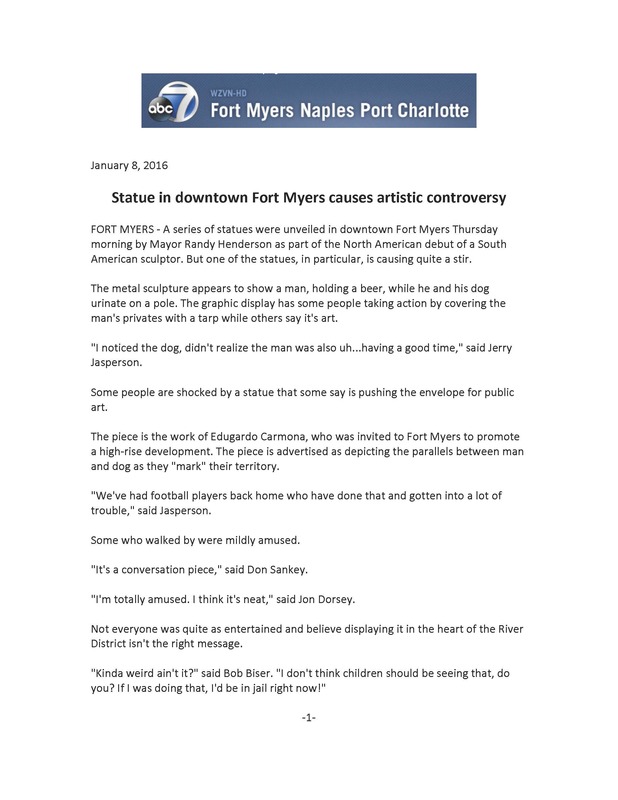 That included ads both online and in print; a high-end oversized brochure that would meet the expectations of buyers of luxury condominiums; streetlight pole “yard arm” flags announcing the Allure Your Senses public art exhibit and displayed along the street leading to the Allure Sales Gallery; materials for the sales gallery including wall displays featuring lifestyle, product and builder information; signage; stationery package; invitations; and e-blasts. 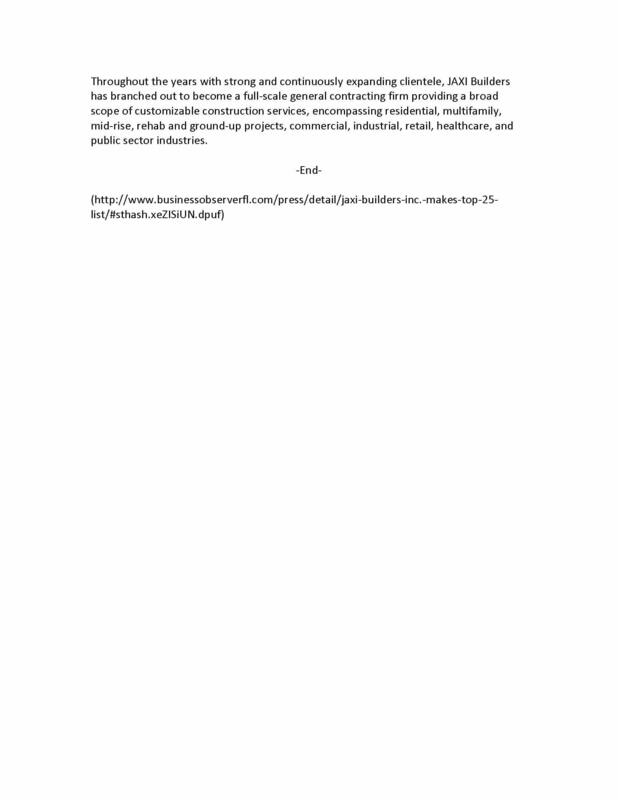 Public relations activities included pitching story ideas to print and TV outlets. A challenge to overcome was that many of the details and information that would be required to produce the above items and more were not initially available to the Agency. In the end, we had approximately six weeks to gear up to meet the sales gallery opening deadline, as well as deal with holiday closures and deadlines. Spiro & Associates successfully created and launched all required materials and coordinated the successful “soft opening” of the Allure Sales Gallery with about 150 guests in attendance. 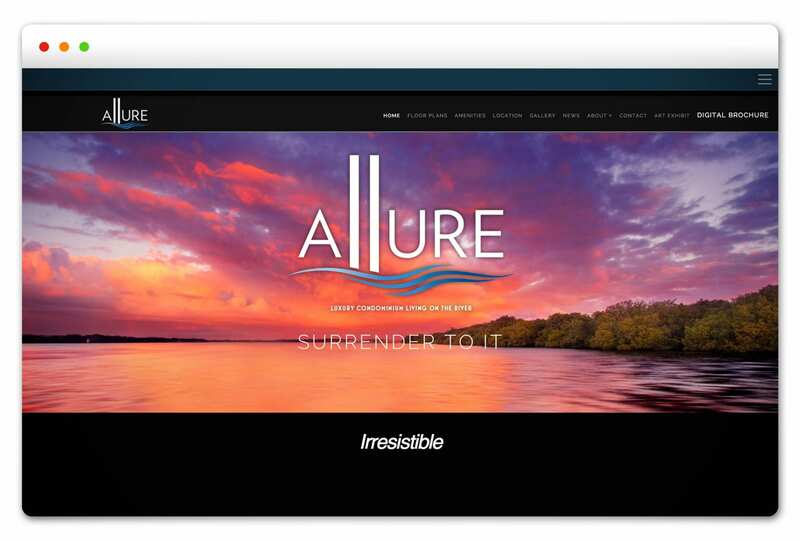 Condominium reservations were being written as of early 2016, and we continue to work with Allure. 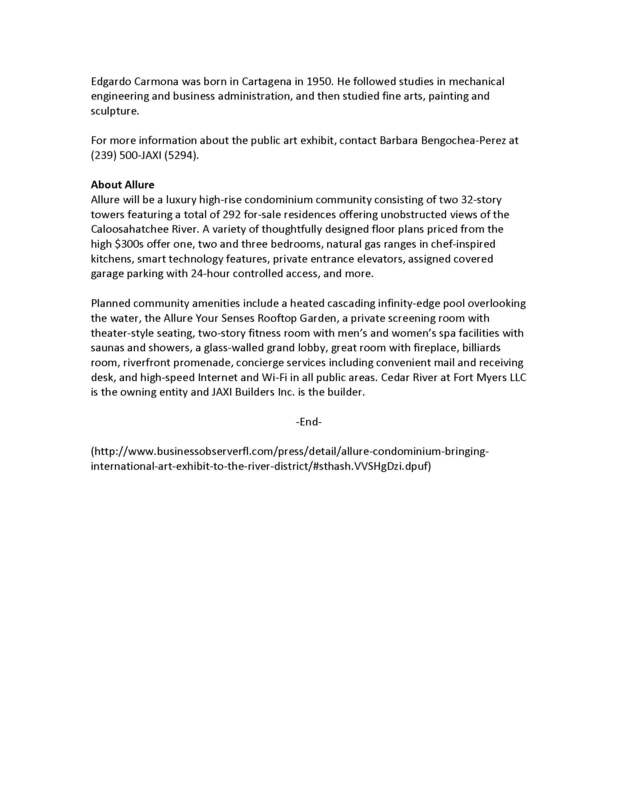 The Brand Architects have put the client on the path for success for a beautiful new luxury community that is expected to welcome its first residents in early 2019 — one that has re-energized and revitalized interest among other builders seeking to bring other condominium projects to the downtown landscape.